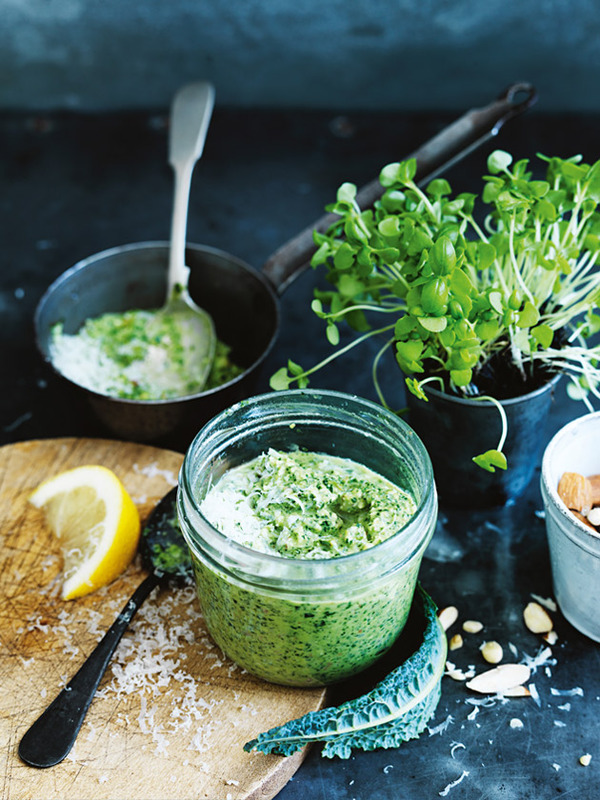 Place the basil, kale, watercress, almonds, pine nuts, garlic, lemon rind, parmesan, oil, lemon juice and water in the bowl of a food processor and process to a rough paste. Season with salt and pepper and refrigerate until ready to use. Makes 2 cups. Tip: This pesto is delicious dolloped over meat or fish, or tossed through whole-wheat spaghetti. It will keep refrigerated for 3–4 days.